You’re in the market to buy a home and up pops “title insurance” in the buying process. Are you stumped and not sure exactly why you need to get it? Here’s a Q&A that should clear up any uncertainty. Basically, title insurance protects against what may have happened in the PAST with the home and property you are about to purchase. It’s different than life, property, or mortgage insurance, which protect against losses from future events. Plus, you pay a onetime fee at settlement unlike other insurances in which you may pay monthly or yearly over the course of owning your home. The home you want to purchase may have had several owners before you, and the land may have had even more. Something in the past may have occurred that could cause you problems now, such as a forged signature in transferring the title, or unpaid real estate taxes and other liens. Maybe a subcontractor never got paid when the home was expanded. And now, with a higher rate of foreclosures, you never know what may be lurking in the financial on goings of the previous owners or the bank who has foreclosed on them (see related question on foreclosures below). A title search will be made on the home and property to see if anything is at fault. A title search is not 100% and the insurance is your protection. The insured will be protected from any problems that may arise once the policy is purchased, including any claims and legal fees. Who does it protect … the lender or the owner? It gets a little confusing since two policies will need to be purchased, one for the lender and one for you, the owner. Because you’re getting a mortgage, a lender requires protection for an amount equal to the loan. Just like mortgage insurance, title insurance protects the lender but you pay the premium, which is one payment made upfront. This policy will only cover the lender’s loss not yours. Therefore, you need to get an owner’s title policy. It will protect your equity in your home and property. In some areas, sellers pay for the owner policy to show good faith in the title. In other areas, borrowers must buy it. Usually it is an add-on to the lender’s policy and the cost is relatively small. When does the coverage begin and end? Coverage ends on the day the policy is issued and extends backwards in time. So only claims that occurred prior to the date of the policy will be covered. Remember, standard title insurance only covers events in the past! If a subcontractor you hired while you’re in your home makes a lien, then you aren’t protected by the title insurance policy. It occurred after the policy date. How long do I need coverage? Your owner’s policy protects you as long as you or any of your heirs have an obligation to the property. When the property is sold, the lender will require the new purchasers to get a policy. That way, the lender will be protected from any claims or liens against the property that may have occurred since the date of the previous policy (or when you owned the property). But if you have a lien on your property and it’s found during the title search, then you need to settle the claim before you sell. I want to buy a foreclosed home but can’t get title insurance. What’s going on? Mortgage lenders won’t issue a mortgage without title insurance and the current foreclosure market has taken this to a new level. In recent weeks, big lenders have halted proceedings on foreclosed properties and are reviewing legal filings that may not have been properly verified or notarized. Basically, a quagmire has emerged and this has scared not only homeowners but title insurance companies. One of the nation’s largest title insurance companies has stopped insuring titles to many foreclosed homes. It’s a big mess! The main reason behind title insurance is to cover you in case people turn up months or years after you buy your home saying that they, in fact, are the rightful owners or at least had a stake in the transaction. What would happen if scores of people who had lost their homes to foreclosure somehow persuaded a judge to overturn the proceedings? Could they somehow win back the rights to their homes, free and clear of any mortgage? As you can see, you need to tread carefully if you plan to look at foreclosed homes right now. What can I do about false claims that occur after I purchase the property? The standard owner’s policy will not protect you in these instances. However, a new policy with expanded coverage has been developed and is offered in many states. This coverage, referred to as the ALTA Homeowner’s Policy, offers some protection from events that occur after you have bought your house. This expanded policy can protect you against some additional issues such as 1) liens made by subcontractors not paid by the builder if you’re in a newly constructed house; 2) identity theft on a new mortgage you know nothing about; 3) a neighbor’s building on your property without your knowledge and adversely possessing and possibly taking your land; and 4) costs incurred to correct a zoning violation of the previous owner. 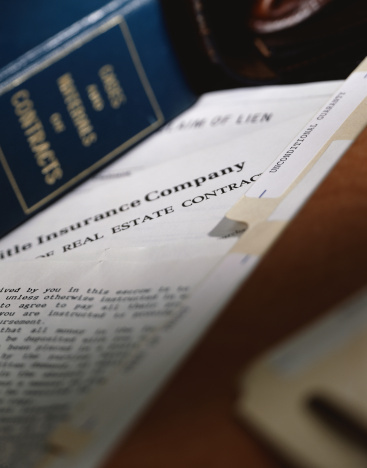 How do I buy title insurance? 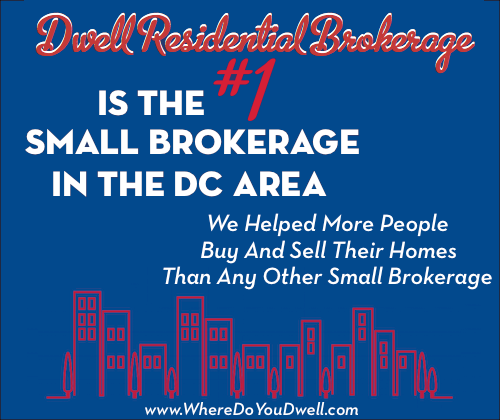 In the DC area, the title company selects the carrier. Premiums and requirements vary from state to state and sometimes within states. Can I deduct title insurance premiums on my taxes? No, not according to current tax codes, but always double check tax stuff with your tax gal or guy.